About "NLT Guys Life Application Study Bible Iridium (Black Letter Edition)"
This Bible is specially designed for guys aged 11 and over, with notes about real issues they face and how the scriptures relate to them. Find out how God's Word can guide the way through self-image issues, friendship, peer pressure, and more! 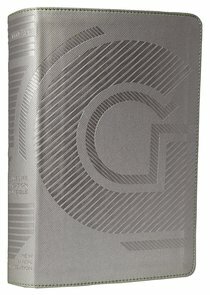 An edition of God?s Word created for guys ages 11 to 14 based on the best-selling Life Application Study Bible. Packed full of notes and features, the Guys Life Application Study Bible is easy to use and helps answer the questions preteen guys may have about God and life. Discovering God?s will for their lives has never been this much fun!